Frank: …who didn’t love me back. Edwin: That’s another word for it. Edwin: Are you kidding me? It was a … paradise. They got pool… They got golf… Now I’m stuck with Mr. Happy [Frank Ginsberg] here, sleeping on a…sofa. Look, I know you are a homo and all, but maybe you can appreciate this. Unfortunately, Mr. Hoover passed away on a family trip before he could be indicted by a grand jury. 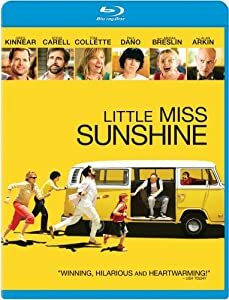 While the above spoof off of two scenes in Little Miss Sunshine is described in jest, there is nothing funny about the conviction of former Rutgers student Dharun Ravi for bias, invasion of privacy, hindering apprehension, and witness tampering, i.e. the events leading up to and following the suicide of his gay roommate, Tyler Clementi. We often hear complaints of media bias and double standards, but an even more insidious problem is a cultural bias that has pervaded the legal system and turned it into a weapon. Dharun Ravi is a jerk. A big jerk. A sneaky, invasive, showboating jerk. His actions were offensive, and probably warranted expulsion from Rutgers. But a sentence of up to ten years in a criminal facility with thieves, rapists, forgers, drug dealers, et al? According to NJ state law as written, yes. Schoolyard and lunch line bullies in New Jersey might get much heavier punishment than a trip to the principal’s office. Rather than allowing our children to grow out of their youthful immaturity by delegating local school authorities and parents the task of negotiating their children on a case-by-case basis through the confusing journey to adulthood, we are providing them with an early introduction to the unwieldy sledgehammer of liberal legal philosophy. In the process, we mark these young children with a stain they will carry for years, making it more difficult to get a job or otherwise be a functional member of society. “This verdict sends the important message that a ‘kids will be kids’ defense is no excuse to bully another student,” said Steven Goldstein, the chairman of Garden State Equality. Unfortunately, the Little Miss Sunshines of the world will have no choice but to get it. This entry was posted in In Our Own Biased Opinion and tagged CNN, Garden State Equality, Jeffrey Toobin, Little Miss Sunshine, media bias, New Jersey, Steven Goldstein, Suicide of Tyler Clementi, Tyler Clementi by frick. Bookmark the permalink.